Kettle corn and popcorn are staple snacks across different countries. Even though kettle corn is considered a variety of popcorn, there are a lot of differences between the two. Kettle corn is a type of popcorn usually seasoned with oil, salt and refined sugar. Its name was derived from the early practice of making kettle corn, which initially required a kettle. Today, kettle corn is made in different kinds of pans and pots. Popcorn, also spelled as pop-corn, is a corn kernel variant that expands under a specific amount of heat. After exposure to pressure and heat, the popcorn puffs to up to 50 times the kernel’s original size. At first glance, kettle corn and popcorn may seem interchangeable. 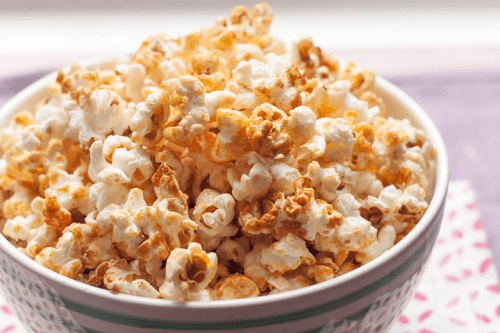 However, contrary to popular belief, there is a huge difference between kettle corn and popcorn in terms of preparation, flavor and nutritional value. Kettle corn and popcorn are made from a type of corn that expands and puffs up after exposure to heat and pressure. However, despite their similarities, methods of preparation draw a thin line between the two. Kettle corn is typically made in a cast iron kettle, a pan, a pot or a Dutch oven. During preparation, the kettle corn must be continuously stirred since it contains sugar, which can easily burn. Because it necessitates constant mixing, kettle corn is more laborious to prepare. Aside from corn kernels and sugar, a mixture of oil and salt is added to the kettle to create a well-balanced flavor profile. Unlike kettle corn, popcorn can be prepared in a variety of ways. It can be made in a small or a large-scale popcorn maker, which requires heating kernels and allowing them to pop under mild to moderate heat. During this process, oil is preheated in a pan to add to the kernels. Microwaveable popcorn bags are also available on the market. Unlike regular popcorn, kettle corn has a rich, caramelized flavor due to its sugar and salt content. Since the sugar is added to oil, the oil picks up the sweet flavor, making kettle corn highly distinct. Although salt is also crucial to the mixture, kettle corn is always predominantly sweet. 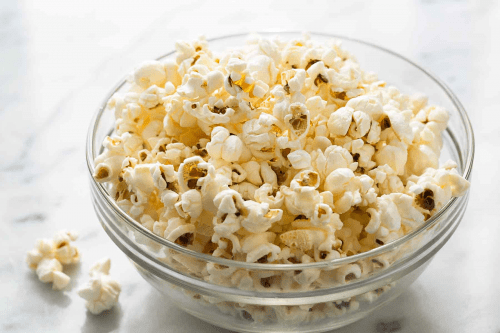 Meanwhile, traditional popcorn is mainly considered a salty snack since it is seasoned with salt and butter. Because it has a neutral flavor profile, different types of seasoning can be added to the mixture, making popcorn a versatile option. Some of the most popular popcorn flavors include cheese, caramel, barbecue and chili. The nutritional value of a bag of kettle corn and popcorn is highly dependent on preparation methods and amount of seasoning. Between the two, kettle corn has a higher sugar content, which can be restrictive to people with high blood sugar. However, as compared to popcorn sold in theaters, kettle corn has lower saturated fat. The nutritional content of popcorn, on the other hand, depends on two factors: flavoring and method of preparation. Air-popped variants that are lightly seasoned with salt are healthy options as they are rich in antioxidants and fiber. Plus, they are lower in sugar and caloric content than kettle corn. Nonetheless, popcorn served in theaters is usually seasoned with butter, margarine, salt and other flavorings, making it extremely unhealthy. A bag of theater popcorn usually contains 29 grams of saturated fat, which is a person’s average recommended intake for 1.5 days.